These are large cut fries with chunky bits of roasted peppers and savory roast beef. These fries are good especially with a bottle of beer. I might even ask for a cup of rice or a side of mash because there were generous amount of roast beef on the dish. 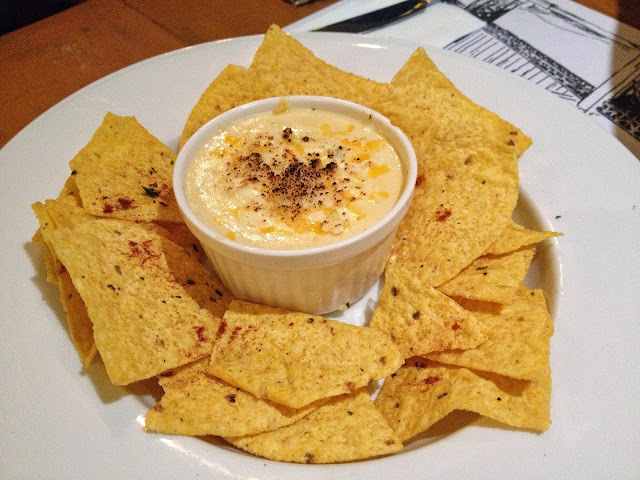 These are your typical nacho chips paired with a creamy and delicious spinach dip. These are light and a nice appetizer choice, specially if you're ordering the big guns a.k.a their yummy meat dishes. This was my main dish that night. 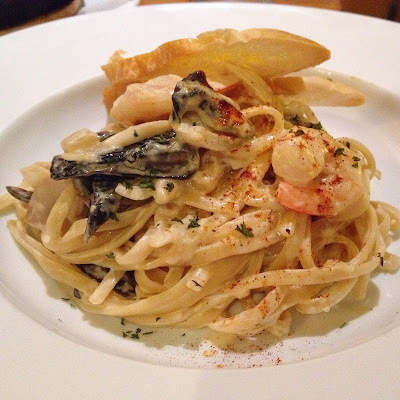 It consists of creamy truffled garlic sauce with mushrooms tossed in linguine pasta. It was good. I suggest you eat this while it's hot to fully enjoy its creamy taste. 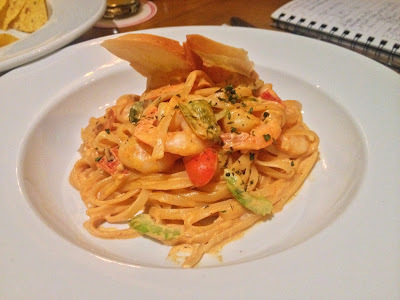 This dish was ordered by the other blogger. It consists of creamy cajun shrimp pasta served with parmesan herb toast. It has a spicy kick because of the cajun. If you are into spicy and creamy pasta, this would be your pick. Herb crusted salmon fillet with potato scallops on top with a creamy lemon butter sauce on the side along with buttered vegetables. You can choose for a cup of rice or mashed potatoes to go along with the salmon. 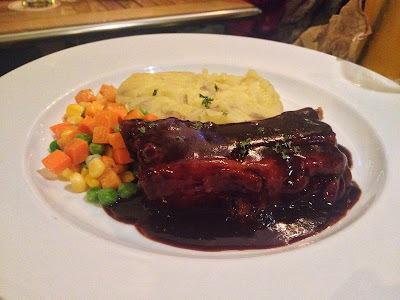 This dish consists of slow roasted pork ribs swimming in SF Bistro's own BBQ sauce. 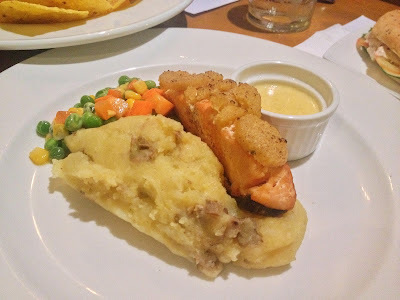 You can choose for a cup of rice or mash potato as side to go along the buttered vegetables. 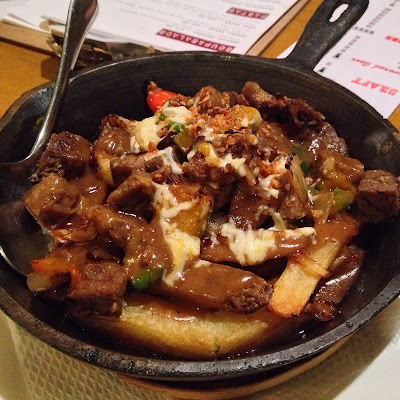 SF Bistro's BBQ sauce was on a bit sweet side which our Filipino palate will definitely love. For desserts, we initially wanted to try the choco lava cake, but it was out of stock for that day so we settled for ice cream for our sweet tooth. I opted to share the vanilla ice cream topped with chocolate chips and chocolate syrup with a fellow blogger. 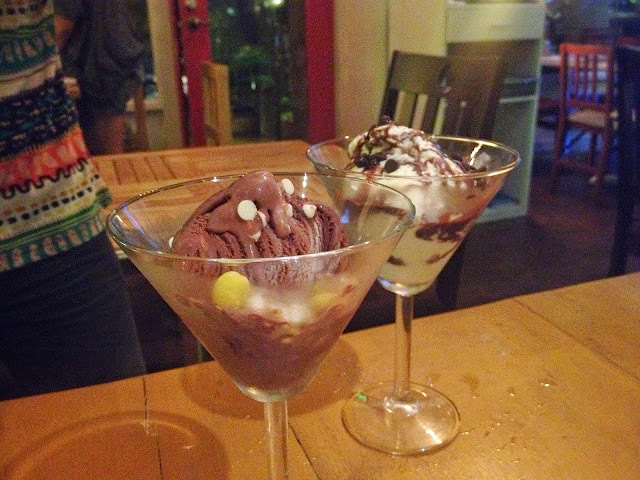 We can't help but take a lot of food shots that the ice cream melted before we can dig right into it. San Francisco Bistro is the perfect place to unwind and have a drink or two with friends. They have the flavored beers that is known at Rue Bourbon. Tasty dishes and excellent drinks are a good combination for a bistro. Head over to SF Bistro with your favorite buddies for a fun night out. Where do you usually hang out with friends?